The entire placement was such a wonderful way to put the skills I learnt in my Media and Communications degree from the University of Sydney into practice in the epicentre of politics that is DC. This level of access would not have been possible without the Washington DC Placement Program letting us be a stones throw away from all of the action. The USSC made the process so easy, which meant we could really hit the ground running from Day One and easily settle into life abroad. I could not recommend a better way to spend your summer break if you are ready for a full-on but worthwhile time." 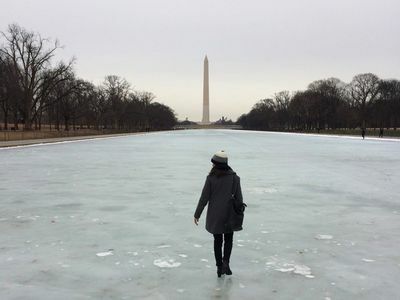 "Being able to Intern and study in Washington DC was an incredible opportunity. I was able to gain valuable technical and interpersonal skills as well as form close friendships with students from across America and Australia. During the workday you could go from preparing a memo on a congressional hearing you attended, to providing legislative research assistance and securing cosponsor signatures. At night you can join fellow students from Berkeley and UCLA in having conversations with key political figures. Whilst on the weekend you’re only a short bus trip from New York or an Uber ride to watch an NHL game. It’s a challenging few months that are sure to leave you with a lifetime of memories. Moreover, employers in Australia significantly value the experience placing you in a strong position to secure further internships back home." 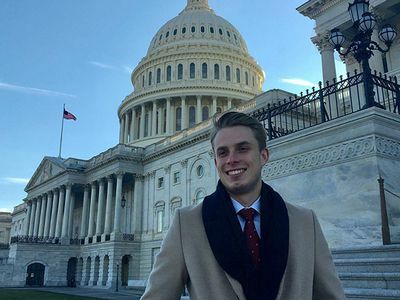 "Interning in Washington D.C. was an unforgettable experience. It gives you a great insight into the career opportunities that await your graduation, and equips you with first-hand experience of living and working in one of the most stimulating and inspiring cities in the world. You have the opportunity of attending many events in Washington D.C. that are unique to the city. During my internship, some of the events I was sent to included a conference held at the World Bank Headquarters, an Asian Development Bank roundtable meeting and various Senate Committee Hearings. UCDC is a great place to make connections and friendships with students from across the country. You’re also right in the centre of it all, surrounded by plenty to do. I couldn’t recommend this program enough!" 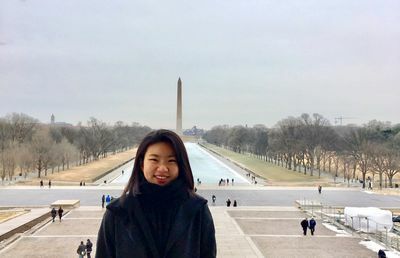 "Though trading a Sydney summer for a sub-zero Washington winter was tough, participating in the USSC’s DC Placement Program has undoubtedly been the highlight of my undergraduate experience. The opportunities you are provided with to learn are unparalleled, both in and out of the classroom. By studying in another country you will see your field of interest with fresh eyes, and it is hard to imagine a more valuable professional challenge than working in a different culture. Beyond work and study, the program offers an immersive social and cultural experience. Far from a stereotypical government town, DC is a vibrant and exciting city with so much to explore. There is nowhere else in the world with the same density of smart, driven people and ideas, at least when it comes to politics. It felt as though I made years of friendships and memories in just 9 weeks. While living abroad can feel daunting, the amount of support offered by this program makes it feel almost easy! Every step of the way, the USSC makes the process feel seamless. Onsite at UCDC, the community was so welcoming to us Australians and any concerns about meeting people were completely allayed. I would recommend anyone interested in public policy, economics, or just US culture in general to apply to this program!" "I cannot think of a better way to spend the two months of summer break. 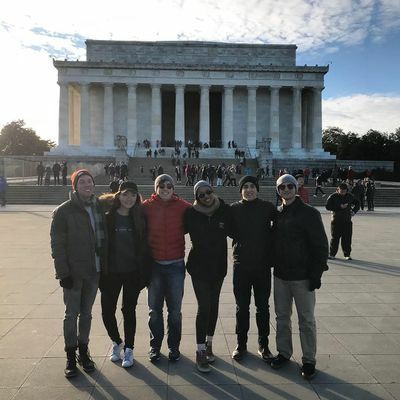 The dynamic yet diverse social and political environment of Washington D.C. has so much to offer, and the Placement Program allowed me to make the most of it. Interning at the Chamber, I gained valuable work experience that complements the knowledge I had from studying at university. Since day-one, I was encouraged to get involved and take all opportunities around me – whether that was shadowing meetings and roundtables or hearing the stories of innovators and entrepreneurs around the world. Every day, I saw the interaction of business, law, and political science in real-life practice. Outside the office, the Placement Program also offers lots of opportunities to learn. In the UCDC evening classes, we discussed current affairs with University of California professors and students. The UCDC Monday Night Forum was also very informative and fun: hearing from various guest speakers while enjoying free food with my roommates was one of my best memories."